06 Dec What About Mars? The InSight has successfully landed on Mars. This is the eighth successful landing mission on the red planet which also had been famous in the reel scene with movies such as “The Martian”, “Total Recall”, “Red Planet”, “Mission to Mars”, “John Carter”, and even “Race to Mars” which is a Canadian television mini-series. The InSight Lander was launched on 5 May 2018 and after progressing for 6.5 months through a distance of about 54.6 million kilometers, the robot had its touchdown after the so-called “seven minutes of terror” that involved complex multistep routine including decreasing down from more than 12,000 miles per hour to 5 miles per hour. It was nicknamed as “seven minutes of terror” since it took seven minutes to complete a safe surface landing that includes deployment of its supersonic parachute, gathering correct measurements for its radar, and ignition of its thrusters at the right moment and during those times of waiting, no one in the NASA room knew what will happen. Fortunately, it was a victorious touchdown that made everyone in the NASA room to be celebrating. Since the touchdown of InSight is the eighth successful landing on Mars, here are the other successful landing missions on the red planet. The Viking program which has Viking 1 and Viking 2 robots that landed on separate dates, 20 July 1976 and 7 August 1976, respectively. They both were successful in sending the first colored images of Mars as well as measure the temperatures on the planet. They made history as the first mission to have been successful in touching down the surface of another planet after having been launched on 20 August 1975 and 9 September 1975. Viking 1 performed its mission for 6.25 years while Viking 2 operated for 1,316 days and was turned off on 11 April 1980, due to battery failure. The Mars Pathfinder was able to land on 4 July 1997 and was considered the first spacecraft to rover outside the Earth-Moon missions. Its mission was to prove if the surface of Mars will be good for any rover technology. It was launched on 4 December 1996 and still has been in Mars ever since it landed. The Sojourner rover which is part of the Mars Pathfinder spacecraft mission ended on 10 March 1998. The Mars Global Surveyor arrived on 12 September 1997 and studied the composition of Mars, mapped Mars’ topography, and studied its weather patterns. It also discovered evidence of water at the planet. It was launched on 7 November 1996 and completed its mission on 14 November 2006. It was the longest operated spacecraft that lasted for seven years. The Phoenix lander landed on 25 May 2008 under the Mars Scout Program for the mission of searching habitable zone evidence including evaluation of biological data. It was launched on 4 August 2007 and had its mission completed after 1 year, 2 months and 29 days. The Spirit Mars or MER-A (Mars Exploration Rover-A) rover and lander which was successful in landing on Mars on 4 January 2004 but had its mission ended on 25 May 2011 due to inadequate energy caused by extremely cold temperatures. The MER-B or Mars Exploration Rover-B and famously known as the twin of the Spirit, Opportunity, which was halted until 12 June 2018 due to the accumulation of dust on its solar panels. It was part of NASA’s Mars Exploration Rover program and was launched on 7 July 2003. The Curiosity rover which was launched on 26 November 2011 via the Mars Science Laboratory space probe mission and landed on 6 August 2012. The InSight is the first lander to study the interior of Mars. Prior mission to Mars have been studying the environment of the planet above it but this time, InSight will study the underneath of the planet’s surface such as its crust, mantle, and core and even study marsquakes which is similar to earthquakes. 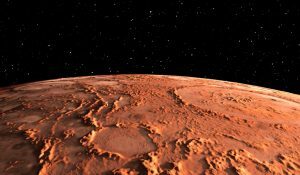 Its main goals, according to NASA, is to determine if life ever occurred on Mars, typify Mar’s climate, describe Mars’ geology, and even formulate possibilities of human expeditions. InSight will be using its dome-shaped seismometer to listen for seismic activity on the planet as well as measure the magnitude and frequencies of marsquakes. Did you know that one light signal will take around eight minutes to reach Earth? With the help of two satellites nicknamed MarCO which are modified CubeSats that are made of regulated spacecraft designed from 10-centimeter cubes. These satellites are also the first CubeSats to survive prolonged in deep space. By the way, if you will be prosperous enough to live on the red planet, a Martian day is called a sol and is about 37 minutes longer than a day on Earth. As InSight successfully landed, other future efforts for Mars will include the ExoMars of European Space Agency (ESA) projected to be launched in 2020 and NASA’s rover mission called Mars 2020. 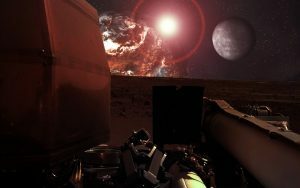 Sending of humans to Mars will probably happen in 2030, according to NASA, but President Trump already assigned the agency to prioritize sending humans to the Moon and its administration is already in the manner of allocating a budget for a moon space station which will be called Deep Space Gateway. The effects of technology is truly a mystery. It was Jules Verne, the famous French novelist who was credited for being an inspiration for explorers, inventors, and scientists to achieve more in the field of science and technology. One of his novels was a product of imagination (or prophecy to others) such as the landing in the moon and even going under the very deep parts of the ocean, all of which was just a novel during his times and was meant for entertainment. Nowadays, as you read his novels, you will just be mesmerized on how productive his imagination was since most has become a reality already with the advent of technology. When Mars will become habitable or not will really rely on the future generation. 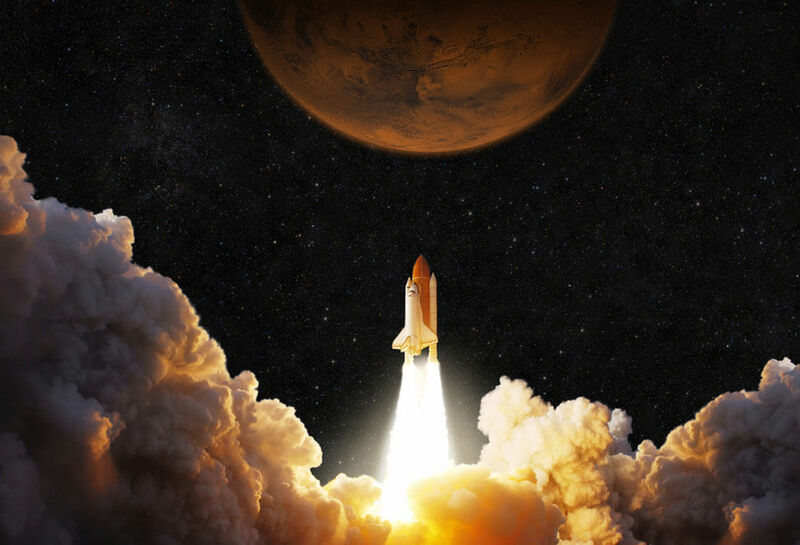 It will depend on how well the next generation will use their imagination and enhance technology in order to achieve more successful planetary and space explorations. For now, let us just appreciate the beauty of life and discern what else you can contribute to preserving Earth’s environment.